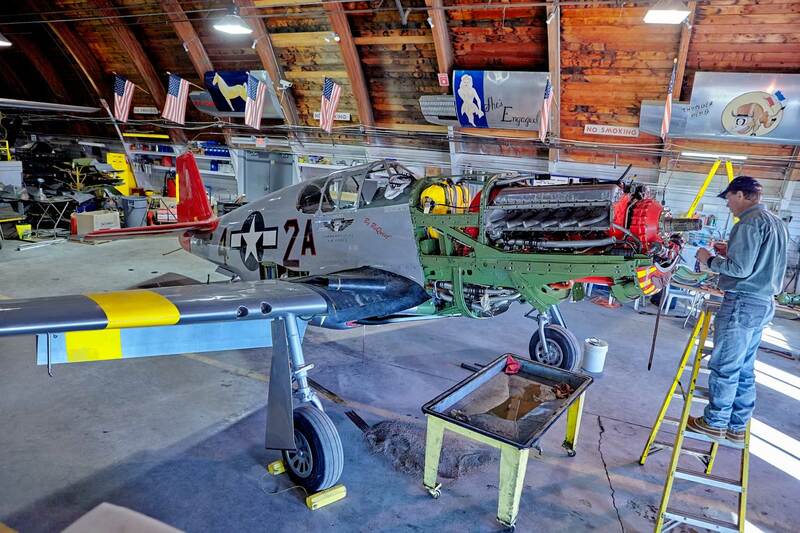 The Squadronâs P-51C Mustang was used as a stateside trainer in 1945 and then declared postwar surplus. It was displayed at a Montana college for 40 years before being donated for restoration (see photo right). The Commemorative Air Force (CAF) took possession of it in the late 1980s. Starting in the mid-1990s, the Minnesota Wing of the CAF began its restoration, raising the more than $500,000 necessary to complete the work. Volunteers of the âRed Tail Projectâ also did much of the work, contributing their time and experience to save money. In 2001, the Mustang, now christened âTuskegee Airmenâ and painted with a bright red tail, flew again for the first time in more than 45 years.